SLB EGO-V V2 MEGA BATTERY. 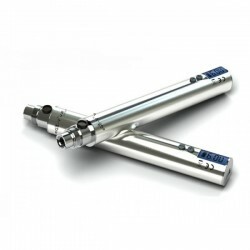 Available in: black and stainless. Battery Variable Voltage eGo Mega-V, 1200 mAh Sailebao pass-throughIs the new battery from the manufacturer Sailebao, variable voltage function has thus the voltage can be set manually between 3.0V and 6.0V (ascending / descending with each of 0.1 V), so you can enjoy your maximum amount of vapor. Battery Mega eGo-VV is the newest model eGo-V, having the same unique features but with a larger capacity of 1200 mAh. 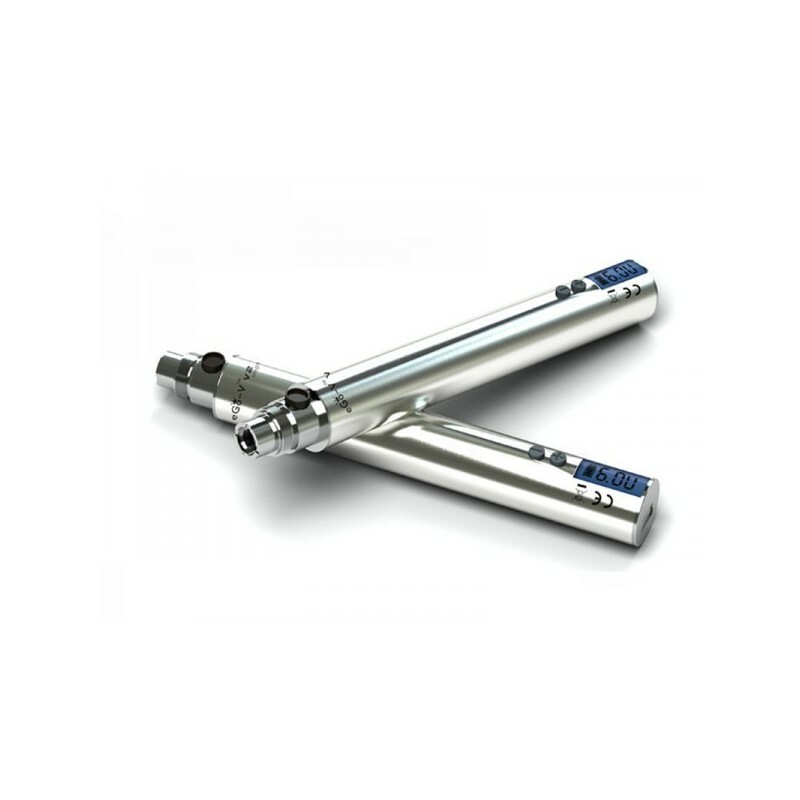 Battery eGo-V Sailebao is distinguished by quality construction and design to a different design than any other model eGo battery available on the market. 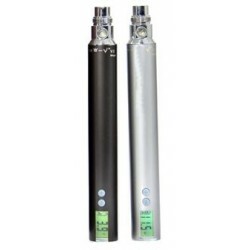 EGo-V battery has an LCD display that indicates battery level anytime and current voltage. 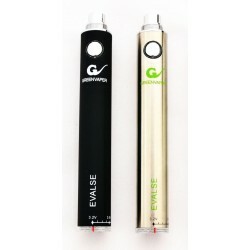 Unlike other batteries in its class with variable voltage, the battery eGo-V has a USB connection on the bottom, so you can use and upload the same time. 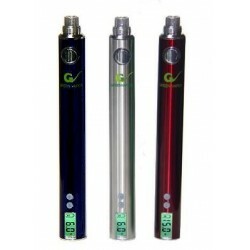 EGo-V battery contains lithium polymer battery of high quality, with a high capacity of 1200 mAh, which offers a range of approximately 1000 puffs. To set the desired voltage, simultaneously press the "+" and "-" buttons for 3 seconds to unlock and then, using the same buttons "+" or "-" adjust voltage that fits best with atomizer used. To block again the output voltage simultaneously press the "+" and "-" buttons for 3 seconds. To enable or disable the battery press the POWER button 5 consecutive times in a span of 3 seconds. The SLB v2 Mega now features a 10 second cut-off in case you are carrying in your pocket and it accidentally triggers the PV. It will shut the unit off and to restart it you have to click five times within 3 seconds to turn it back on. SLB v2 Mega has 2.5 amp limit. The USB charging and pass-through cord is approximately 95cm long.